I’ve been to the ocean only a handful of times in my life. Some would joke that the Gulf of Mexico as seen from the Florida panhandle beaches “ain’t really an ocean,” but that’s for another essay or informal debate. The vastness is what grabs my attention. Each time I’ve gone, I stand for as long as my family will allow me and take in the wonder of how skies with and without clouds meld into ocean surface at the horizon. Waves generated from farther away than I can see tumble toward me and away from me and all around me. One year, my bold son rented a boogie board and repeatedly took it out as far as he could, until the waves and depth forced him to ride toward the shore. At 7 years old, he stood out like a shell in the surf. But I would follow him with my eyes and then crane my neck and then run the 100 yards or so that he had drifted along the beach to bring him safely back to us. Repeatedly. When we called “pool time” and went back to the hotel swimming pool, I was relieved. There would be no running along the sand, head turned toward the waves; we could see him and his sister no matter where they chose to swim, from any pool-side lounger we chose. Your backyard pool can be an oasis that brings to mind the refreshing qualities of an ocean trip or day at the lake, albeit on a much smaller scale. Watching children swim and jump and play in such a controlled environment is probably one reason the inventor of residential pools might have said to himself, “Let’s bring the ocean to my house.” And while natural waves are majestic, the serenity of a still body of water at a specified, steady depth makes for great therapeutic and athletic dips in the pool. Residential swimming pools bring together all the decisions, innovation, and power that the human mind believes are within his control. We choose the design, even if we are choosing it along with an existing home we are buying. Human innovation finds new ways to automate how we interact with our pools, as well as ways to conserve energy in the process. And the power: bringing water where water was not before, keeping it clean and healthy, moving it how we wish! In at least one sense, however, nothing is within our control. Equipment kept out in the elements will break, no matter how intensely you will it all to stay brand new forever. Stone crumbles. Grout disintegrates and discolors. Surfaces beneath and above water are subject to time’s diminishing effects. And water will go where it is given a path, which is why the schedule for all leak detection companies worth their weight is consistently backed up 3-5 weeks. Homeowners and pool technicians do all they can to contain and maintain, but the natural course of things requires periodic repairs and upgrades. Just as we keep careful watch over those persons within our care, we stay on alert for dangers involving our investments. We cannot fully protect our children from poor choices, injuries, and malevolent forces, but we do all we can and look for signs of impending destruction. And though not every pool owner understands electrical theory or hydraulics, he or she can watch diligently for signs of imminent failure and act on them with urgency. I have met with homeowners who have turned a blind eye to a symptom of equipment problems, and I’ve encountered those who have solicited the diagnosis of a professional but have chosen not to remedy the situation right away. People who eventually see the whole picture realize the mistake of inaction. 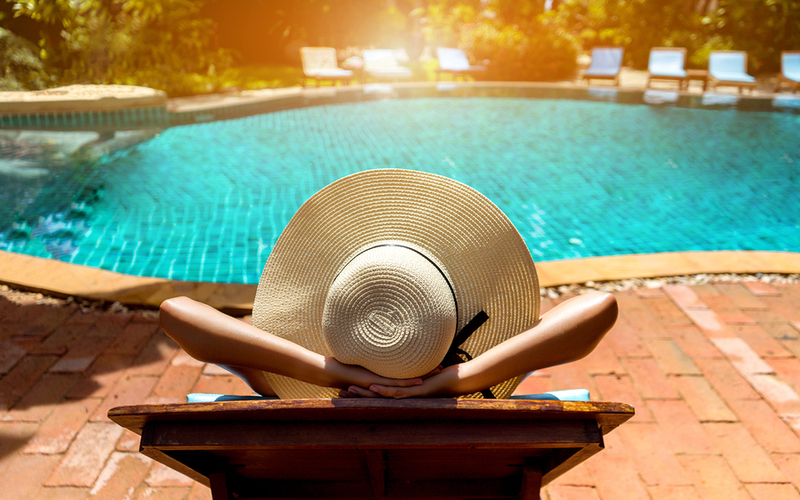 Although a pool is a luxury item used most often in summer, it is a responsibility that can grow more and more costly with less and less attention. I didn’t have to stand by him as he rode the waves, but I did keep my eyes on my son while he traversed our little bit of the Gulf of Mexico that summer. A pool owner does not need to test chemistry every day or walk out and check the equipment pad each morning before work. However, a weekly cleaning service (we have recommendations) and a diligent homeowner can take steps to increase the longevity of all components of a pool. Among these are monitoring water level, maintaining proper chemistry, having the filter serviced semi-annually (which also includes a full system check when you hire Select Pool Services), and periodically checking the equipment for leaks and strange sounds/sights/smells. If you ever encounter anything that concerns you, call Select Pool Services at 214-755-7665, or drop us a line through our website, selectpoolservices.com. We are glad to advise you from a distance or schedule a service call for a thorough analysis.